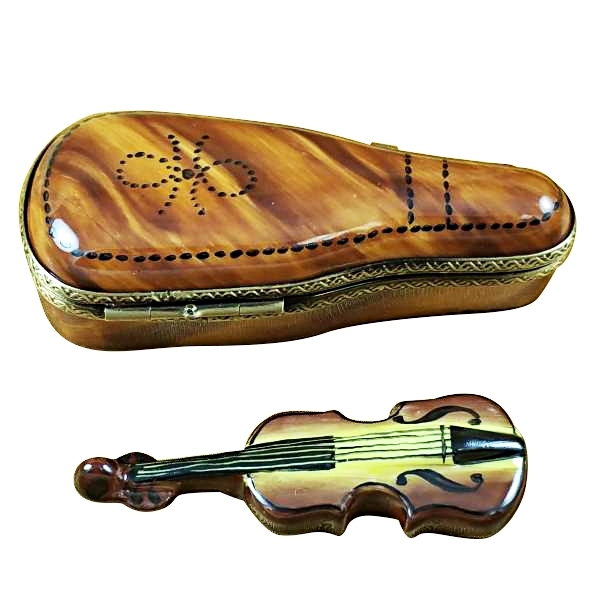 Maplewood violin case w/violin - Limoges Boxes and Figurines - Limoges Factory Co. This Limoges box is shaped like a wooden violin case. 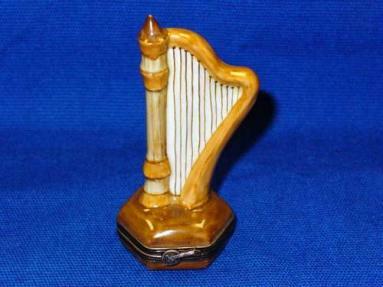 It is painted skillfully to look like a maple wood object. 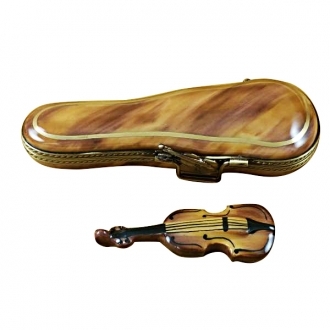 The simple design, with dark brown spots highlights its simple beauty. 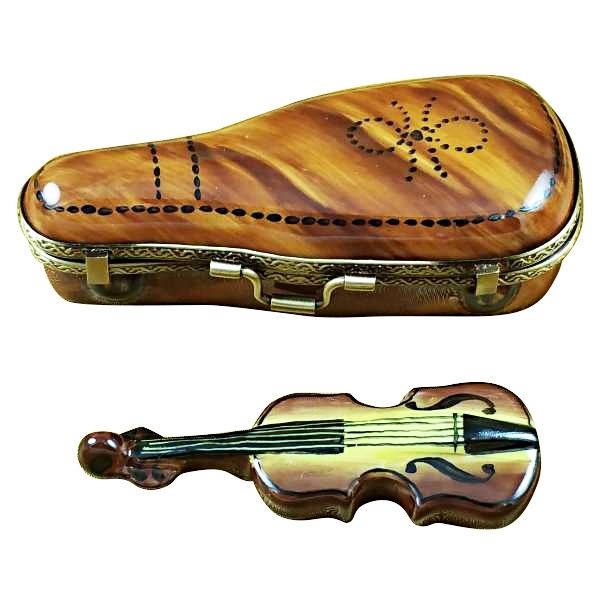 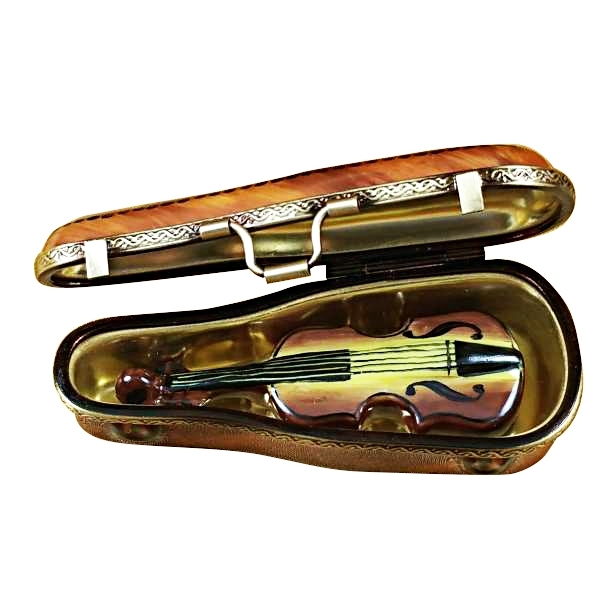 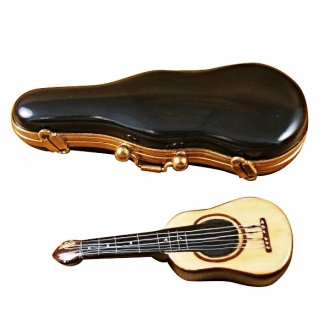 The golden rims, catches and the handle make it look a real violin case. 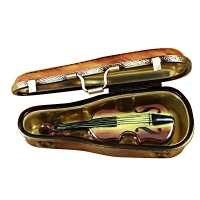 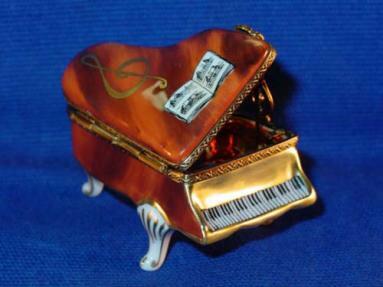 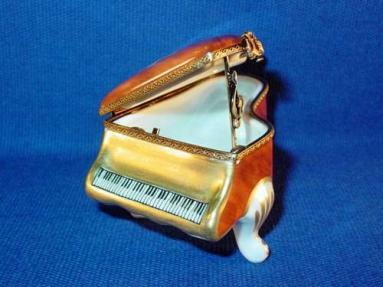 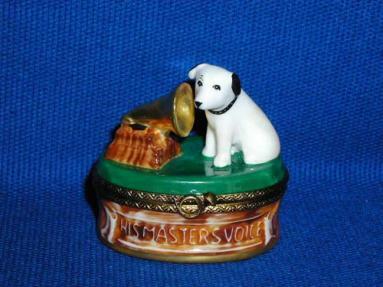 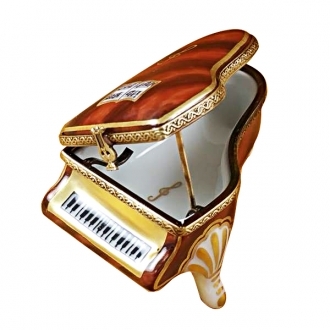 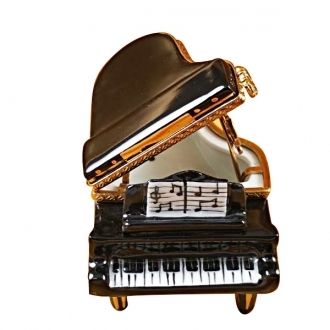 It is provided with a porcelain violin also. 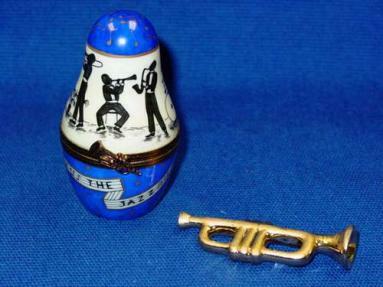 Measurements: 3" х 1,25" х .75"
H: 4.00" W: 1.75" L: 2.25"
H: 1.00" W: 1.50" L: 4.00"
H: 2.25" W: 3.75" L: 2.25"
H: 2.25" W: 1.50" L: 2.25"
H: 2.25" W: 4.00" L: 2.50"
H: 2.25" W: 3.00" L: 2.00"
H: 0.75" W: 1.50" L: 3.50"
H: 1.50" W: 1.50" L: 2.50"
H: 0.75" W: 1.25" L: 3.00"
H: 2.00" W: 2.25" L: 3.50"
H: 2.25" W: 2.50" L: 3.50"